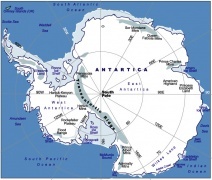 Here are some additional links to more information about Antarctica. Antarctica is almost twice the size of Australia and covers around 13,661,000 km². The Antarctic Treaty is an agreement in place to preserve the continent for future generations and to help countries avoid territorial disputes in the region. The Treaty encourages international co-operation and scientific research.